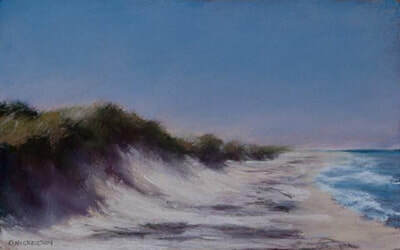 Drifting Mist | Pastel | Size: 25" x 48"
A twelfth generation Cape Codder whose roots go back to the Mayflower and also to William Nickerson, who founded Chatham, Ginny Nickerson received her formal education at Garland Junior College in Boston, Ma. and The University of Denver, Co. where she received a BA in Printmaking. The summer of 1970 she spent two month on a tour of Europe visiting 12 countries and seeing many of the museums and pieces of art which she had been studying. 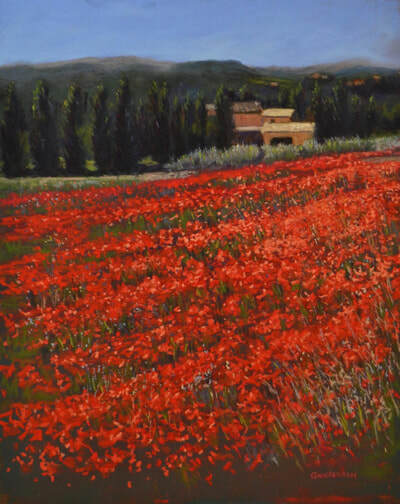 This trip had a lasting impression on her and helped mold her love of art into a career. 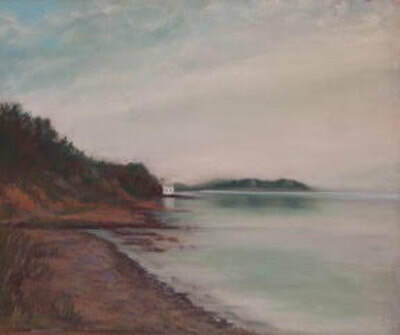 After college she returned to her hometown, Chatham, on Cape Cod where she and her sister, Rachel Nickerson Luna opened The Nickerson Gallery for the summer of 1973. Ms. Nickerson moved to the Worcester, MA. area after she married and started producing watercolors of flowers. 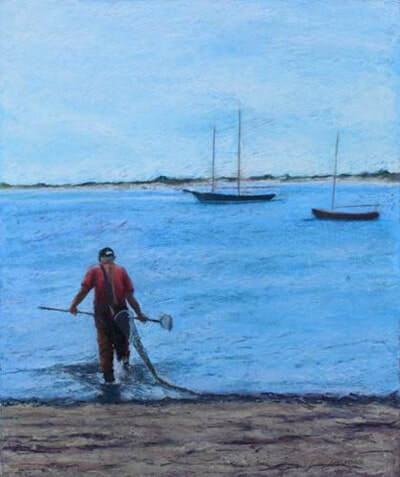 Her work was shown at Hogan Art Gallery, Orleans, Ma., Schnabel’s Gallery, Hingham, Ma. 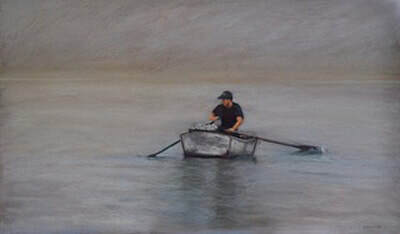 and several art co-ops in the Worcester area. 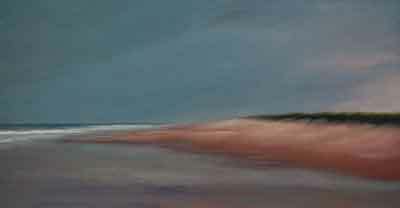 From 1978 to 1984 she worked directly with clients creating custom paintings to suit their decorative needs. 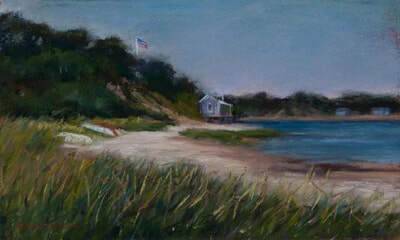 In 1984 a change of careers occurred when Ginny moved back to Cape Cod and purchased her family business, The Children’s Shop, inc. Divorcing in 1992, she dedicated her energies to her store and after 22 years of retail business and celebrating the stores 50th anniversary in 2005, she sold her store so she could spend more time creating her art work. 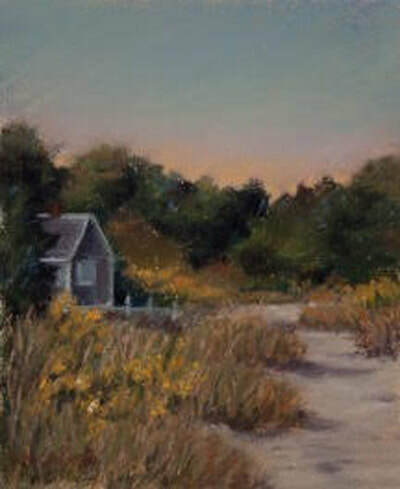 Ms. Nickerson has studied with many master pastelists over the years including, Carol Garvey, Rosalie Nadeau, Susan Ogilvie, Sally Strand, Terry Ludwig and Margaret Dyer, learning new techniques in pastels. 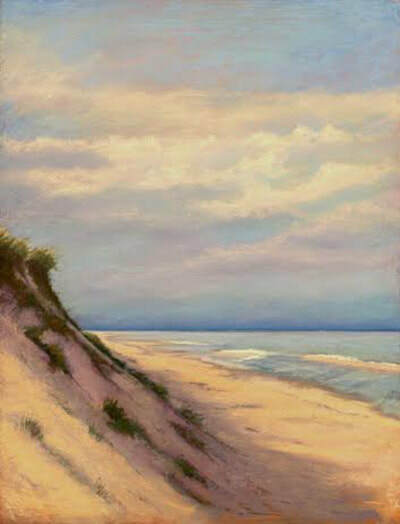 Ginny is a member of The Creative Arts Center, The Pastel Society of Cape Cod and Cape Cod Art Association, becoming an ARTIST member, 2006. 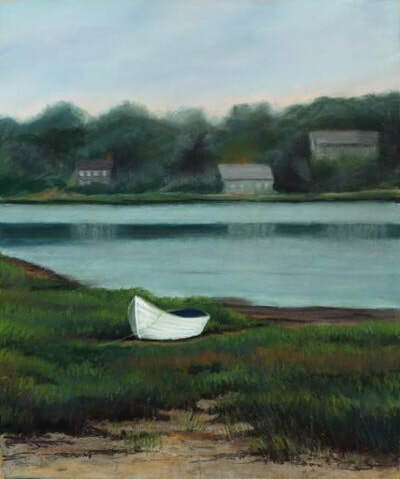 She and business partner Shareen Davis owned and operated Nickerson Art Gallery on Main Street in Chatham for 7 years and recently decided to close their Gallery to make more time for creating their passions. 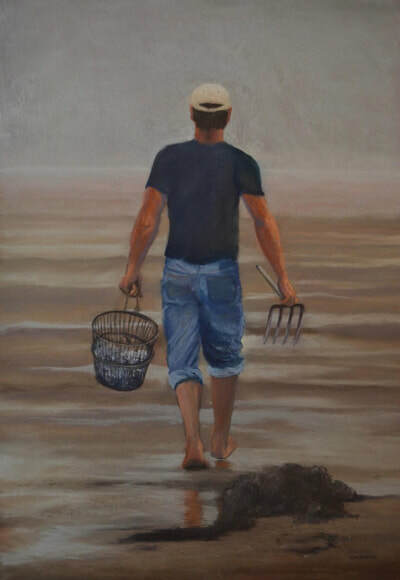 Ginny is excited about having time for new adventures and is pleased to be represented at Gallery Antonia.